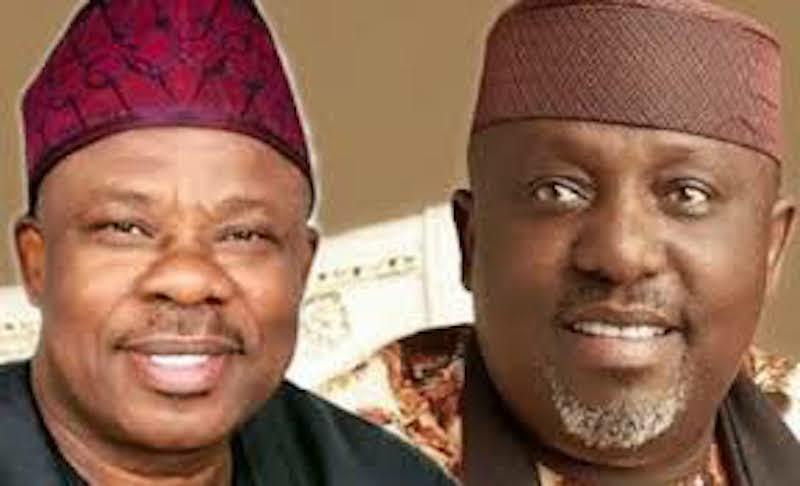 The National Working Committee (NWC) of the All Progressives Congress (APC) has suspended the Governor of Ogun State, Ibikunle Amosun and his Imo State counterpart, Owelle Rochas Okorocha, for alleged anti-party activities. The party also suspended the Minister of Niger Delta Affairs, Pastor Usani Uguru Usani and the Director-General of the Voice of Nigeria (VON), Mr. Osita Okechukwu for the same reason. In a swift reaction, Okorocha accused the National Chairman of the party, Adams Oshiomhole of plotting to destroy the party. The decision to suspend the party chieftains was reached yesterday at a meeting of the party’s NWC, presided by the National Chairman, Comrade Adams Oshiomhole at the APC National Secretariat in Abuja. In a statement issued by APC’s National Publicity Secretary, Mallam Lanre Isa-Onilu, the party said it also recommended the expulsion of the suspended individuals to its National Executive Committee (NEC). APC further asked its members to disregard directives and actions of the suspended individuals, saying the party would continue to live by the dictate of its constitution. The party said it would also issue a query to the Governor of Ondo State, Rotimi Akeredolu over his glaring anti-party activities, which greatly affected the fortunes of their candidates in the recently-conducted presidential and National Assembly elections in the state. Before wielding the latest hammer, the APC said it had written to the suspended governors on their anti-party activities. 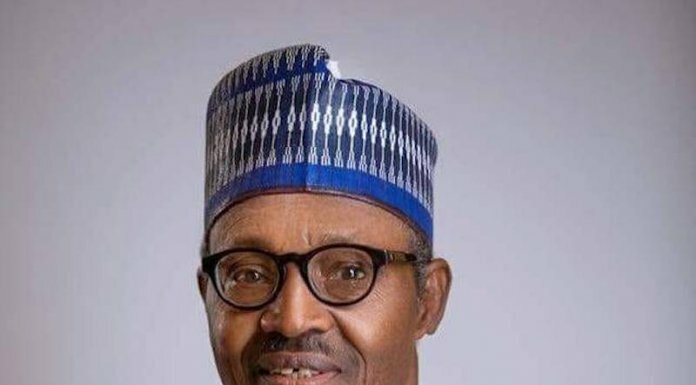 APC said that several other steps were taken to ensure they desist from taking actions that were inimical to the interests of their party and candidates. “Notably, these individuals have not shown any remorse and have actually stepped up their actions. The party reviewed the serial anti-party activities of the concerned individuals before and during the last presidential and National Assembly elections in their respective states and resolved to enforce party discipline in line with our constitution,” it said. The APC further said that the NWC was closely monitoring the activities of its members across the country, particularly those in the states of these suspended members. 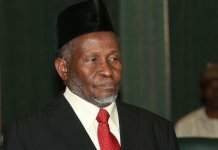 “We wish to reiterate that any member of our party who takes any action solely or in line with the directives of the suspended members to undermine our party’s candidates in the coming governorship and House of Assembly elections would face disciplinary actions,” it said. Okechukwu may have incurred the wrath of the party, following his scathing criticism of Oshiomhole over the party’s decision to recognise the Special Adviser to the President, Mrs. Juliet Ibekaku Nwagu, whom he contested against in the senatorial primary election. But in his swift reaction, Okechukwu dismissed the suspension, insisting that he had not done anything to warrant such an action. The VON D-G said he should not be blamed for the triumph of bigotry in Enugu State and in the South-east in general. According to Okechukwu, if anything, he was instrumental to the most consistent advertisements placed in several media in the South-east, on behalf of the party. Meanwhile, Governor Okorocha has accused the national chairman of the APC of planning to destroy the party, with his suspension. Okorocha maintained that Oshiomhole was determined, right from the outset, to destroy the APC in the South-east which was unknown to party Chieftains in the zone who had genuinely supported his chairmanship. In a statement signed by Okorocha’s Chief Press Secretary, Sam Onwuemeodo, he stated that Oshiomhole was playing the politics of 2023 in 2019 and that in doing so, he had thrown caution to the wind. He said there were crises in all the South-east states, and that all resulted from the alleged fraudulent manner he (Oshiomhole) conducted the primaries. “When the APC members across the nation are still celebrating the success of the party in the Presidential and National Assembly elections, Oshiomhole in his wisdom or lack of it, felt that the best action in the circumstance was to suspend two governors who did well in the election, even when he played safe in 2015 and 2019 in Edo State without any known pressure. “Again, Oshiomhole coming up with the purported expulsion, this time, was only acting out of the fear that God in his infinite Mercy could give Governor Okorocha a role to play in the Senate, in the overall interest of the nation. “The truth is that Oshiomhole is only labouring in vain to play his own part of the deal that warranted his giving out the tickets of the party to non-deserving elements like in the case of Imo,” he stated. The problem between the Imo state governor and the APC national leadership began during the conduct of primaries to select the governorship candidate in the state. While Okorocha wanted his Chief of Staff and son-in-law, Uche Nwosu, Oshiomhole was vehement in opposing what he said was a plan by the governor to create a family political dynasty in Imo state. After the primary election panel headed by Ahmed Gulak upheld the election of Senator Hope Uzodinma as APC’s governorship candidate for Imo State, Nwosu was said to have dumped APC and picked the ticket of the Action Alliance (AA) on the advice of the governor. The face-off between Amosun and the party came to a climax when both sides clashed during the presidential campaign rally in Abeokuta attended by President Muhammadu Buhari. Amosun had disagreement with the party’s leadership over the choice of the party’s governorship candidate for Ogun state. While Dapo Abiodiun emerged through the primary election conducted by the APC national leadership, another candidate, Abiodun Akinlade, anointed by Governor Amosun, also laid claim to the ticket, having emerged from a parallel primary election conducted by the faction loyal to the governor. In the ensuing tussle for the APC ticket, Oshiomhole-led NWC insisted on the choice of Dapo Abiodun. An aggrieved governor Amosun directed Akinlade to move to the Allied Peoples Movement (APM) and subsequently switched his support to the new party.